Here is a scenario which I unfortunately see all too often... a scenario how prescriptions are provided to a patient to address their ills which due to associated side effects causes even more problems which in turn is treated with even more prescriptions. Take for example a patient who presents with a chief complaint of cough for over 12 months. 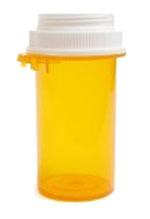 Suspicion for bronchitis is made and prescription for levaquin (antibiotic) and tussionex (a narcotic cough suppressant) is given to the patient. Unfortunately, the patient suffers side effects from both medications and is given additional prescriptions to address these side effects which in turn is treated with even more medications which have other side effects. 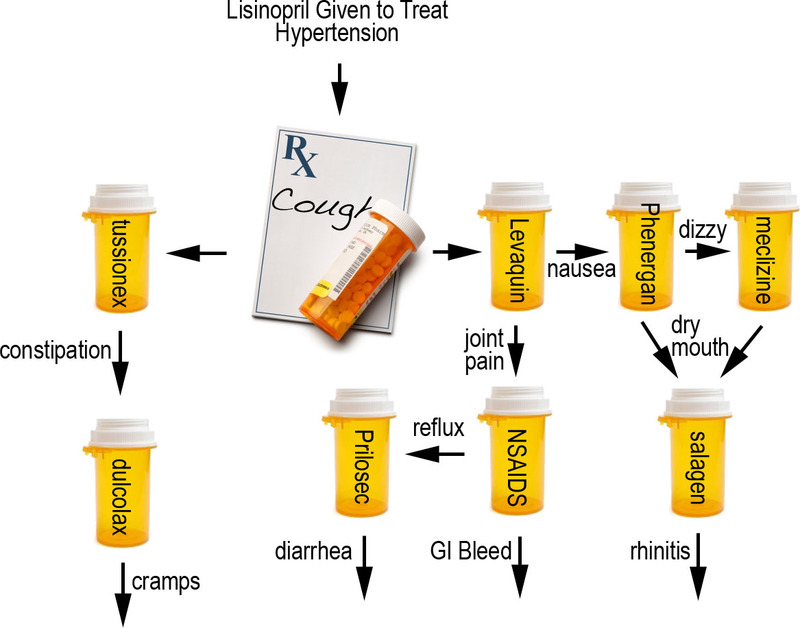 One can see how such a downward spiral of prescription hell can increasingly snowball to the patient's ultimate disease ridden state of numerous physical complaints ALL due to side effects of medications... especially when one considers that the initial complaint of cough was due to the side effect of lisinopril which was originally prescribed to treat hypertension (which in itself has no symptoms). It is at times like these where some sanity to the medication madness needs to occur and I tell such patients to STOP all medications... including the true culprit lisinopril. And that's why ENT physicians always ask what medications a patient is taking... even if at first blush, a blood pressure medication seems to have no relevance to an ENT doctor.